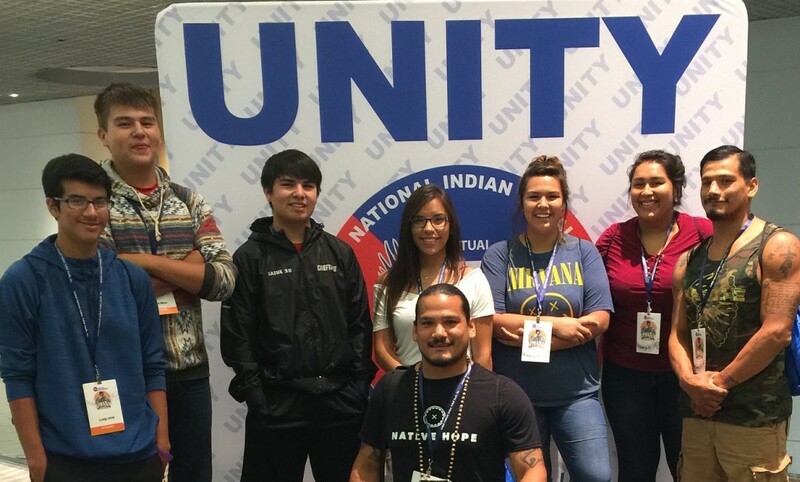 On July 5, the Native Hope Leaders’ Society (NHLS) set off for Denver, Colorado, to experience the UNITY Conference. Thanks in part to the generous donations from our donors, five students and three mentors attended the five-day conference filled with educational and cultural events. Over 1,700 Native Americans were present at the event, making it the largest Native youth gathering in the country. For NHLS, attending this conference was a fabulous experience for a multitude of reasons. For Danielle [Dani] Running Horse, Sicangu Oyate, NHLS member and Native Hope summer intern, attending the UNITY Conference gave her the chance to be around other Native American youth from 556 different Indian nations from around the United States. "Before the UNITY, I’ve always had ambitions to be a better leader for our youth and sometimes have felt alone....I received the chance to see people my age who have the same goals and ambitions as I do, making me feel not so alone,” Dani shares. In addition to having a lot of fun, Ramez feels that with the connections he made at the conference, he gained new ideas about how to help prevent drug and alcohol abuse and even how to help addicts who live in his community. Riley also loved that while at the conference he received vital information about how to prepare himself to further his education. He was happy to learn about various scholarships and to gain tips about how college boarding and meal plans work and much more. He found the information to be invaluable. All of us at Native Hope want to thank our generous donors who partnered with us to send our Leaders' Society members to this unique and educational event. Together, we are empowering the next generation of Native American youth to be world changers. Next PostJuly Events...Hope in Action!